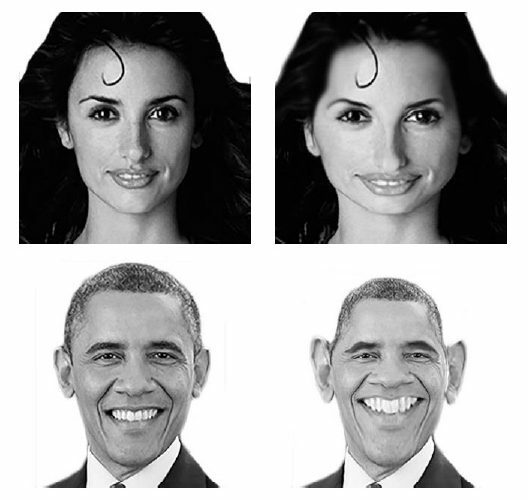 In my post here, I present a method I developed in my thesis, that helps computers automatically produce caricatures. I am considering making an application for desktops, smartphones and tablets which implements this method, and will allow the user to create caricatures from his own pictures. The output caricatures can be adjusted to various degrees of exaggeration. This same method, also provides the option of beautifying a face. Here is a collection of quotes I’ve made over the past few years. Quotes are awesome, because they summarize and condense a lot of thoughts, messages, feelings, ideas, and wisdom in just a few lines.